Summer is out and it’s time for yummy mangoes. Like different cultures, India boasts of different varieties of delicious mangoes from small ping-pong ball size mangoes to large one that weights as much as half a kilogram. Each one has a unique flavor and taste. Here is a list of various mangoes available in various states. Enjoy a gastronomic journey across various states to savor the delicious mango bite. Alphonso: This is the most popular variety of mango in India and is popularly known as hafoos or hapoos. It is big on export costs around 400 per dozen. Badami: Originating from Karnataka, this is popularly known as Karnataka Alphonso because of its similar taste and texture. Banganapalli: Andhra is the origin of this variant and is popular in other southern states as well. It is known for its delicious taste and unique flavor. Dashehari: This variant is originated from Uttar Pradesh and gets its name from the Dashehari village near Mallihabad. It has green peel with sweet yellow pulp. Himayath: This Andhra variant is popularly known as Imam Pasand . It hits the market mid-May and is known for its flavor and taste. Kesar: Known as Kesari in South India, it is popular in south and western India. Kesar mangoes are juicy without much fibrous flesh. That’s why, these are a popular choice with chefs and homemakers. Langra: This yummy mango variant is yellow. The best of these mangos is their availability throughout the year across North India especially in Delhi. Lucknowi safeda: Originated from Lucknow, the raw mangoes are white while turn into yellow when ripe and is known for its juicy pulp. Mallika: You can find this late season mango in the last weeks of May and June. This variant from Karnataka is popular for making pulp and juices. Malda: It is one of the common varieties found in North India and is sweet-sour in taste. It is completely non fibrous and are widely used in the preparations of chutneys. 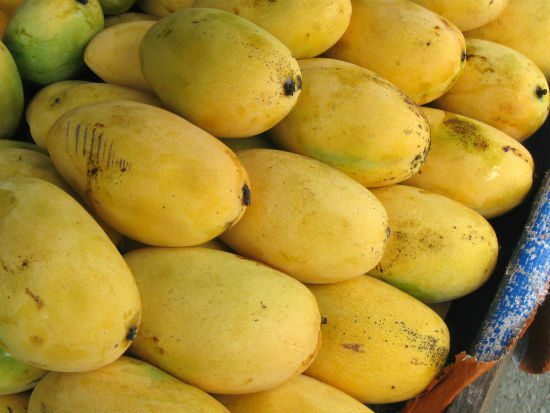 Neelam: This juicy variety hits the market in June, the fag-end of mango season. 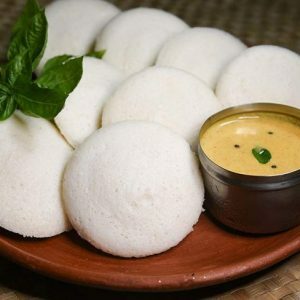 These are popular in Karnataka and Kerala. Naadan: This variety is popular in Kerala. It has a distinct flavor and are eaten when they are in green. Keralites use Naadan mango to prepare various dishes. Pairi: This variety hits the season first and is popular in Goa and Gujarat. It is juicy and fibrous and is popular for making aam ras in the western states of India. Peddarasalu: It is popular in Andhra and is known as Rasapuri in Karnataka. It is very fibrous and juicy and is used to make juices and pulps. Priyoor: This is one of the premium varieties found in Kerala and is popular in neighboring states as well. Sindhoora: It is named Sindhoori in North India because of its deep reddish tinge. 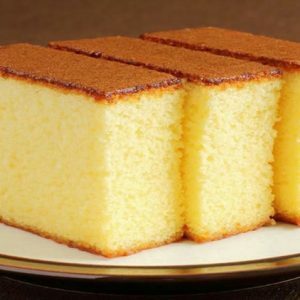 Popular in Southern states, it is known to be more fibrous and juicy. You can get Sindhoora around April itself. Totapuri: It is also known as totapuri, totapari, kilimuku and ginimoothi and is common all across the country. This is the first variety that arrives at the market in the mango season and is best eaten raw with salt and chili powder. Tambour: It is a popular variety of Kerala and is characterized with a large seed. It is found throughout the season and is known for its sweetness. Undamaanga: This is a distinctive variety found in Kerala having a sweet and sour taste. They are known to grow in clusters. Though there are many options to keep the sweet tooth delighted, nothing beats the feeling of biting fresh cut delicious mangoes. Isn’t? Feel free to comment or share your thoughts on this "The Incredible Varieties of Mango" article from Awesome Cuisine.